The past week held Veterans Day here in the US and Remembrance Day in the British Commonwealth, which inspired me to focus on that legendary battlefield from the second world war, Normandy, France. 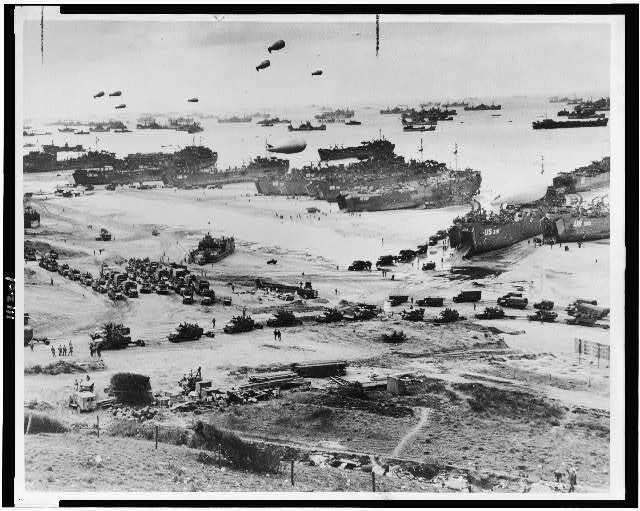 The first place to visit, even if you aren’t a battlefield buff, is the coastline of D-Day beaches: Sword, Juno, Gold, Omaha and Utah Beaches. I recommend watching “Saving Private Ryan” or “The Longest Day” before visiting if you aren’t a history buff, to give you some context. Walk to where the surf meets the sand and look across the beach toward the mountainous sand dunes; try to imagine running from surf to dune as bullets rain down on you and your friends. Then imagine only about half of you make it off the beach. The beaches aren’t the only places to search for history, there are several museums along the 50-mile stretch of beach: Airborne Museum, Centre Juno Beach (dedicated to Canadian Troops), and The American Cemetery and Visitor Center overlooking Omaha Beach. The American Cemetery is the eternal resting place of 9,387 servicemen killed in action in the land they fought to liberate. The D-Day invasion was code-named Operation Overlord and Overlord Tours is a highly recommended tour company that will take you from beach to beach with a skilled tour guide. D Day Historian tours is another company with a high Trip Advisor rating, offering private tours. They also focus on the roles women played in the invasion. The coastline has a history dating back far longer than the last 100 years, of course, and is filled with other sights that will astound you. Mont Saint-Michel Abbey is considered to be one of the most picturesque sights in all the world. The abbey, first constructed in the year 1144, sits on a small part-time island just off the coast. I say part-time because at low tide it’s surrounded by sand and at high tide it’s surrounded by water. The 1960’s romantic comedy Romanoff and Juliet points this out by reminding visitors that the airport is only open when the tide is low. The island is also the setting for the esoteric film Mindwalk, where three people walk around the city discussing “meaning of life” stuff. You can pay to tour the abbey, which most guidebooks do recommend, for $12. The final place we’ll suggest is Claude Monet’s house and garden. I am a sucker for impressionism and Monet was the best. You can walk in his garden, the inspiration for many of his paintings (including the famous Water Lilies), from April through November for $11. The great artist lived in this house in Giverny for 43 years and the Claude Monet Foundation has painstakingly preserved the master’s home, considering the inspiration for his paintings was as important as the paintings themselves. The places mentioned here are just a smattering of the history and scenery you can find in the north-west of France. I suggest taking a peek at the Normandy official website for more ideas.